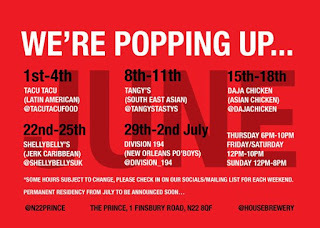 The Prince, the pub in Finsbury Road, Wood Green, will be having a series of streetfood residencies over the weekends in June and July 2017, running Thursdays to Sundays. 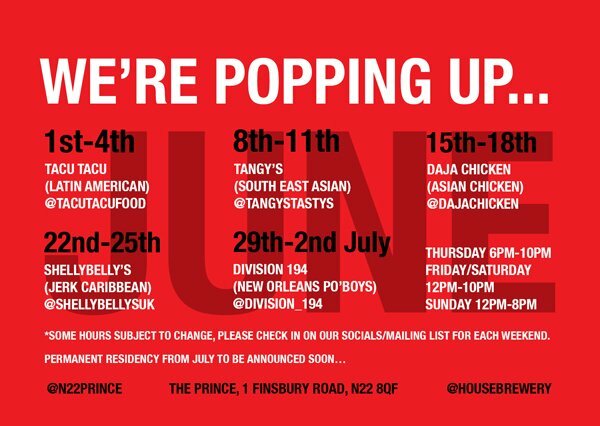 It's a good line-up, including lots of familiar names, like Tacu Tacu (Latin American), Da Ja Chicken (Asian), and Division 194 (Po' Boys and more from New Orleans). The Prince is owned by the same people as The Duke's Head in Highgate, so you're also guaranteed some great beer too!